If you think about the high costs of the traditional cellular service, contract-free wireless services are becoming very appeal to many consumers as time goes on and data costs raise with Mobile Share plans and such. There are two very big names in both cellphone sales and pay-as-you-go services: Radioshack and Cricket Wireless. 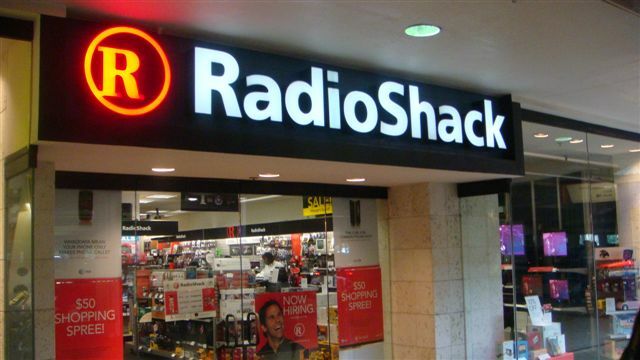 The two companies have both teamed up to offer a RadioShack No-Contract Wireless service. While that is a pretty generic name, it fits and gets the point across. The service will only be starting off with two phones. One phone will be a smartphone while the other will be a feature phone, both of them are manufactured by Huawei. The only one that was interesting to us was the Huawei Mercury Ice and surely that would be the only that is really interesting a consumer. The handset is a low-range Android device with a 1.4GHz processor under the hood, a 4 inch display and a 8 mega pixel rear camera. The handset is also powered by Android 2.3 Gingerbread. While it is on a lower operating system, it’s really not a bad phone. Again, it is a low-grade device, so you shouldn’t be expecting anything extraordinary. The handset will be available at the beginning of this week, and the phone exclusive to RadioShack No-Contract Wireless for the first month and will cost you $150. As far as RadioShack’s plans are concerned, they are going to be offering some really competitive prices in the pre-paid market and may even become one of the top pre-paid companies. Their first plan sits at $25 and will be offering 300 voice minutes, unlimited text and unlimited web surfing for feature phones. The next plan will sit at $35 which will offer 1,000 voice minutes, unlimited text and unlimited web for feature phones. Next you’ll see the $50 plan that will offer both unlimited talk and text with 1GB data at full 3G speeds for smartphones. Lastly, RadioShack is offering a $60 plan with unlimited talk and text with 2.5GB of data at full 3G speeds for smartphones. What’s also included in the last two plans (the smartphone exclusive ones) is Cricket’s Muve Music service. This service will allow users to download a unlimited amount of music off of the Muve catalog and no additional cost. Of course, I assume that most people will be looking into Google Music or Amazon’s MP3 service over the Muve service, but I could also be wrong about that. The RadioShack No-Contract Wireless service will be available at the beginning of this week. It is fairly cheap (as you’ve seen) and will be very popular amongst those who prefer something cheaper and off-contract. RadioShack hasn’t said if they will be including any other phones in the Non-contract service, but I would assume they would have a higher variety than just two. As for higher-end phones like the Galaxy Note 2 or Xperia T, it’s very questionable as to whether we’ll be seeing them on this new service by RadioShack. Is anyone interested in this new contract service? If so, let us know why in the comments below!